TAIPEI, Taiwan, Jan 31, 2019 — ASUS, the leader in high computing performance in server systems, server motherboards, workstations and workstation motherboards today announced that its 2P (2-socket) servers now hold 129 top-performance benchmark world records for computing-intensive performance as recognized by the Standard Performance Evaluation Corporation (SPEC). ASUS 1P (single-socket) servers powered by the latest Intel® Xeon® E platform also earned 8 world records, marking the first time ever they have achieved a No.1 performance ranking. These top-performance achievements for ASUS 2P and 1P servers undeniably demonstrate the company’s R&D capabilities, product innovation and the ability to fulfill the requirements of different applications. Intel recently launched the Intel® Xeon® E platform, which delivers an up to 1.36X overall performance improvement compared to previous-generation processors and is suited for entry-level servers, secure cloud services and workstation solutions. ASUS RS300-E10, a 1U server with flexible storage and expansion options powered by the Intel Xeon E platform and designed for small-and-medium businesses for applications including firewalls, gateways or business servers, earned nine top-performance benchmark world records. 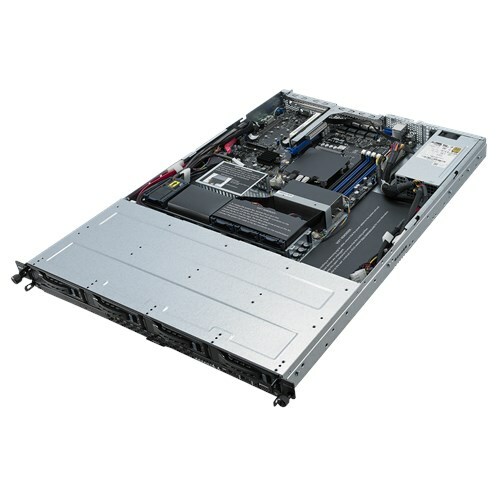 ASUS achieved its world-record computing performance results with the RS720-E9 rack server and TS700-E9 tower server based on the Intel® Xeon® Platinum 8180 processor. RS720-E9 gained four 2P world records for compute-intensive applications with the SPEC CPU® 2017 benchmark, including SPECint 2017 rate and SPECfp 2017 rate. Additionally, TS700-E9 holds four 2P world records for compute-intensive applications with the SPEC CPU2017 benchmark, including SPECfp 2017 and SPECfp 2017. ASUS 2P servers have achieved 129 performance-benchmark records as of January 31, 2019. The latest lineup of record-breaking, configurable servers includes tower servers, rack servers and multi-node platforms, designed to be highly scalable and work seamlessly for infrastructure visualization, data analysis, and general and technical computing applications. ASUS has over 20 years of expertise in the server industry and has a dedicated team of engineers specializing in server hardware design, software and firmware integration, and performance tuning and optimization for a broad range of applications. ASUS achieves the best server performance and agility by tuning servers to match compute workload requirements. Exclusive Performance Boost technology improves workload throughput by maximizing processor frequency and boost power, ideal for time-sensitive applications such as financial services or data-center operations. In the BIOS, users can choose from pre-configured server profiles optimized for specific workloads, maximizing overall performance and reducing server-configuration time. The Standard Performance Evaluation Corporation (SPEC) is a non-profit corporation formed to establish, maintain and endorse standardized benchmarks and tools to evaluate performance and energy efficiency for the newest generation of computing systems. SPEC develops benchmark suites and reviews and publishes submitted results from our member organizations and other benchmark licensees. ASUS Server and Workstation products are available worldwide. Please contact Marketing_sg@asus.com for more information. OPPO R17 Pro Review - What's so special?